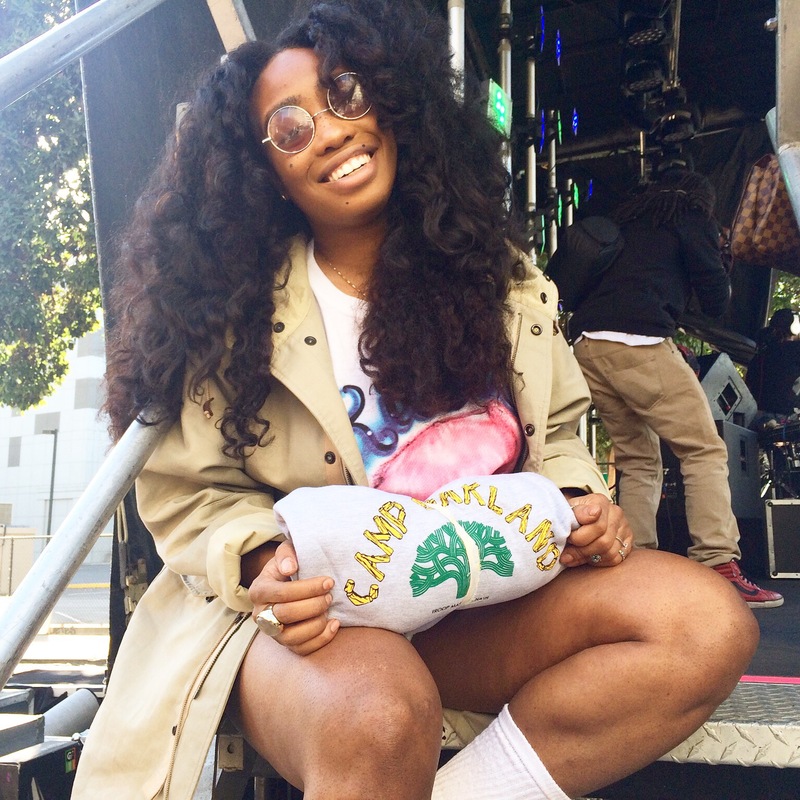 Jam Of The Week: Sza… | iamstylingonyou. A couple weeks ago I was helping my friends over at Marshall Nash Clothing during the Oakland Music Festival and had an opportunity to see Sza perform. She did not disappoint. You can tell she loves what she does and her energy is crazy on stage. She my best friend in my head (hey girl!). Anyway check her out if you haven’t already and let me know what you think below! Want that “Camp Oakland” sweatshirt? It’s HERE. ← Get Wild: Nike Blazer Safari Collection..